So Samsung is Gollum, I take it? If they change the connector again, I am going to roll up into a ball and cry. Macotakara has one of the worst track records in the Apple rumor market. I don't think they have ever been right. Apple Insider should be more wary. Yeah, forget about progress and improvement, better technology, better audio and video. Keep the old so I don’t have to do anything. Why did they go and get rid of that perfectly acceptable RS-232 serial port anyway. And they should have kept that Toslink port on the new ATV4 even though it doesn’t support more efficient encoding like 7.1. I hate change! This is rubbish. The 3.5 mm analogue output of the MacBooks is perfectly capable of delivering 24-bit 96 kHz audio, and has been for at least half a decade. There is nothing inherent to the 3.5 mm analogue jack itself that limits audio quality. Apple may not support higher sample rates than 44.1 kHz at the moment, but the chips they've used since the iPhone 6 at least very likely do. Apple just choose not to support higher sample rates (not sure about whether they do 24 bits, but that really only affects the noise floor, so it's not really relevant except in controlled environments, where the iPhone isn't going to be used). Really, the only thing Apple needs to do is to add Apple Lossless files to the iTunes Store — in 24-bit resolution if they wish. But going higher-resolution than lossless 24-bit/44.1kHz is complete nonsense. Desperately seeking ways to get people to buy more music and re-buy music they already own. If they are really sneaky, they will release a few "hi-res" titles based on superior masters and count on the average sucker failing to realize that it's invalid to compare different masterings, or more generally, differently sourced material, when evaluating format differences. Also, the average person isn't going to perform ABX tests between the "hi-res" originals and (say) 256 Kbps AAC conversions and thereby discover he can't tell the difference. It’s so refreshing to know that here on AI we have anonymous, genius level engineers that are so far superior to Apple’s own engineers that they can inform us how stupid everything Apple does is. Is anyone else getting a 404 error for the Macotakara link? Here's to hoping Apple is able to make Beats hardware actually sound good enough in order to take advantage of Hi-Res audio. AI please add the www to the Macotakara link, that should fix it. 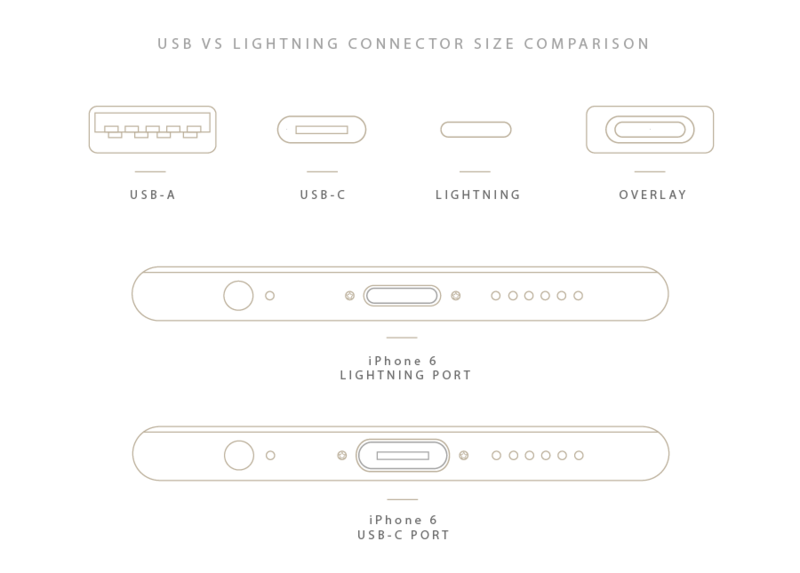 I'm unclear what benefits the Lightning connector has over USB-C. As for a digital format, I suggest MQA. MQA goes all the way back to the mastering stage, so it's a bit more than just taking a CD and resampling it to a different format. If Apple went to a hi-res format, I'd be very likely to subscribe. I have a pretty decent home sound system, and I would invest in some true high quality headphones or earbuds for in the office. The free streaming services meet my needs for background-noise level of listening, but I know I'm not getting good fidelity. I'm currently a Tidal subscriber that is really enjoying the heck out of their service. Hopefully, Apple will get involved in offering something better than what they already have. S/PDIF went away because it has no HDCP, not because HDMI is "better". This makes sense to me. I think this has to be the killer iPhone 7 feature set. It also provides the vision of rhe Beats acquisition, the primary end game. I for one can't wait & I am a vinyl type of guy. An audio chain is only as good as it’s weakest link. A Majority of people won’t have the equipment, nor be willing to pay over $100 for the minimum “buy-in” to that level. & of those that do, the difference could be lost on many if not most of them without ear training or without properly mastered audio. Still, for the few that DO have the equipment, content & ears, this is good news. I just wish they dumped lossly for lossless, 24-bit is great if you have audio that takes advantage of the >96dB S:N (16-bit’s limit) ,which isn’t much in pop music, but it could make the loudness wars moot. A 96kHz sample rate is just a bonus with few noticeable advantages, the biggest being an inexpensive way to get high-end analog source quality without the high-end analog price (easily in the 4 figures). Personally, I wish they’d just increase the fidelity of the wireless systems so more people would realize the convenience of wireless systems. Maybe I missed something. Can I bypass the rather feeble quality of an iPod's inners to deliver the higher quality music? Does an external DAC help? Or will I require a new higher-quality audio output from a new generation of iPod? I ask, because I appreciate the higher quality of SACD over CD. And my 80GB iPod Classic is almost dead, so am in the market for a new music-player. I've been looking at few alternatives including a high-end player from SONY. I hope they also offer higher res files for download too, not just streaming. Be nice if I could have the option to upgrade all the music I've purchased from iTunes.